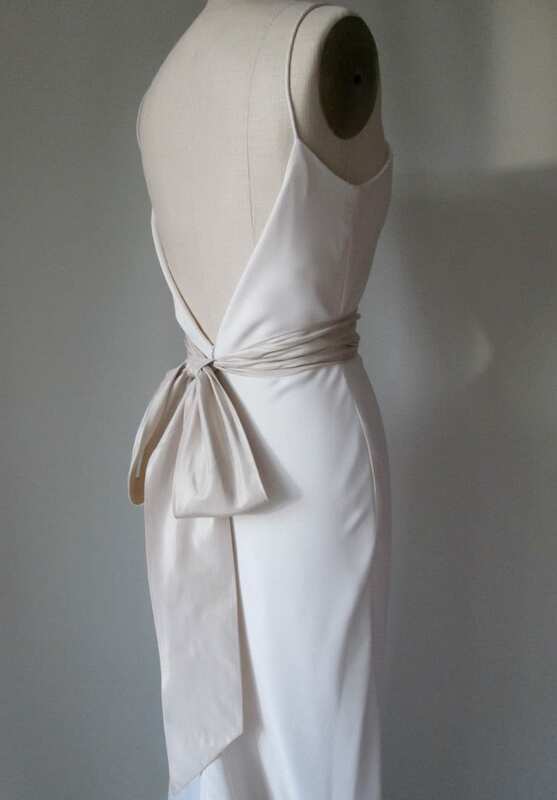 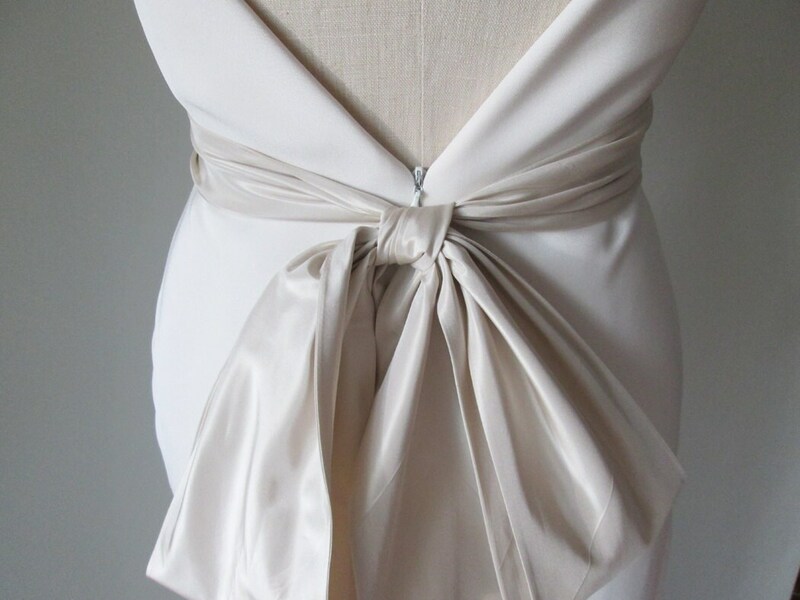 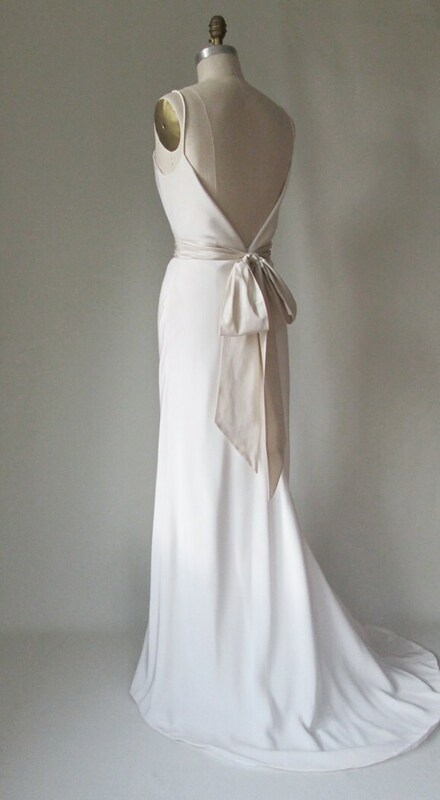 This is a wide bridal sash in light champagne / dark ivory color. 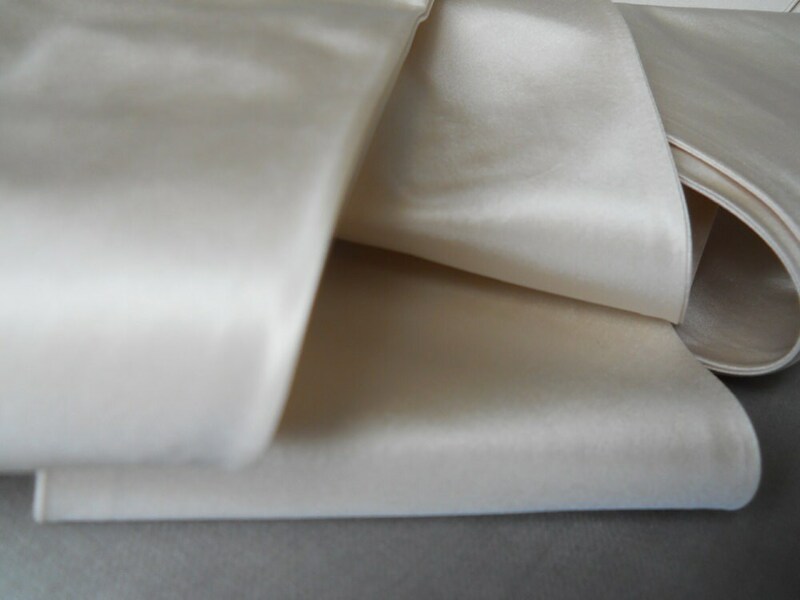 It is handmade out of crisp silk taffeta with a lovely sheen. 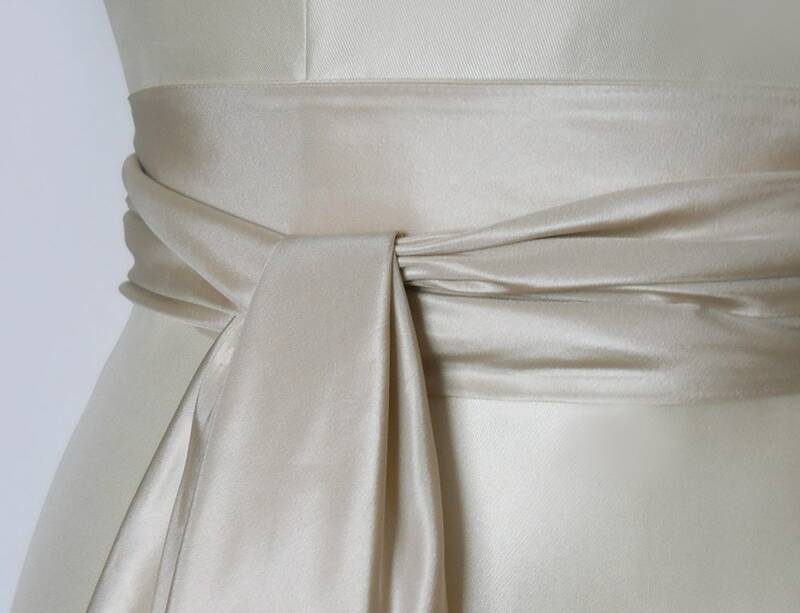 The sash measures 4" wide and 140" long.